From the moment Cecilia Child found a small, forgotten loom gathering dust in the corner of a studio while on Art Foundation at Camberwell College of Arts, she fell in love with weaving. She continued to weave and learn throughout her BA Textile Design at Central Saint Martins, immersed in the history, tradition, and romance of Britain’s oldest craft. A career in weaving after graduating in 2004 seemed like a far off dream, and she cut her teeth working in production for high street accessories brands. She worked with factories in the Far East and learnt about sourcing, the supply chain and, ultimately, how damaging modern mass production is for the environment. 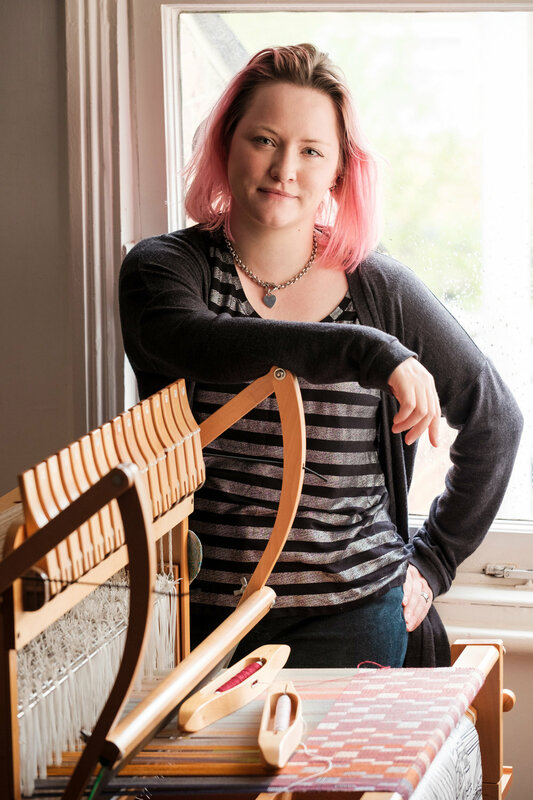 She knows there is a better way, and armed with this experience, a further diploma from the Handweaver’s College, and a determination to create sustainable, low impact and made to last woven textiles that support British industry, she set up By Cecil in 2017. All products are made in Britain, designed in Cecilia's North London studio and produced using traditional weaving practices. Inspired by the landscapes of Shropshire, the rugged British coastline, and the modern architecture surrounding her home in London. Each collection is designed with colour and textures found in everyday life. She creates one-off bespoke handwoven items, perfect for any home.